Starting today the JMM is going to be all ice cream all the time…well maybe not all the time, but we are celebrating the 100th anniversary of Hendler’s Creamery with no less than three programs. Though not in business anymore, many Baltimoreans recall Hendler’s innumerable flavors with fondness. The old factory still stands on Baltimore Street within sight of the Lloyd Street Synagogue, and I have spotted vintage Hendler’s signs in restaurants around Baltimore. So to celebrate Hendler’s Creamery we’re going to be dishing out a lot of ice cream. Tonight come out to our first Late Night at Lloyd Street for our extended museum hours and ice cream making. Hendler’s Creamery is turning 100! In honor of the country’s first fully automated ice cream factory, the JMM invites you to an ice cream social – Hendler’s style. Take a guided tour of our current exhibit, Chosen Food. Then make your own ice cream and enjoy eating it in the JMM’s Rose-Sagalnick board room – once the office of L. Manuel Hendler, president of Hendler’s. For transporation from the Myerberg Center to the JMM, contact Adrienne Blumbergat ablumberg@MyerbergSeniorcenter.org or call 410-358-6856. I SCREAM, you SCREAM, we all SCREAM for MAKING ICE CREAM!!! Aside from sampling ice cream, you’ll also get to see a little bit about Hendler’s Creamery based on the collections here at the JMM. What does the JMM have about this business? Quite a lot actually. The Hendler Collection material was donated to the Jewish Museum of Maryland by Mr.& Mrs. Samuel Boltansky in 1996 as accession 1996.152, and by an anonymous donor in 1998 as accession 1998.47. The collection was processed in May 2005 by Myrna Siegel. Access to the collection is unrestricted and is available to researchers at the JewishMuseumofMaryland. Researchers must obtain the written permission of the Jewish Museum of Maryland before publishing quotations from materials in the collection. Papers may be copied in accordance with the library’s usual procedures. The Hendler Creamery Company began the business of manufacturing ice cream in 1905 under the name Miller & Hendler. 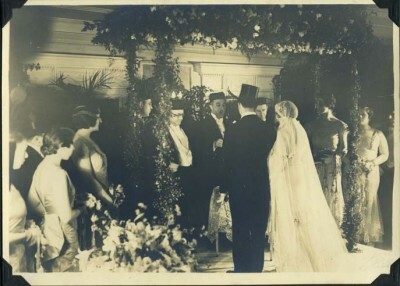 The business was a partnership between Louis Miller and L. Manuel Hendler and was located in the basement of Miller’s residence at Gough and Eden Streets inBaltimore. Subsequently, the business was moved to a building onEden StreetnearBaltimore Streetand later toLloyd Street. The partnership was dissolved in February 1907 with Hendler purchasing Miller’s interest in the business. 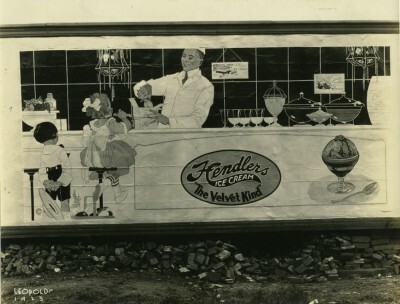 Manuel Hendler continued running the business until 1912 when he organized and incorporated “The Hendler Creamery Company.” The corporation purchased and enlarged Mr. Hendler’s ice cream business. Shortly thereafter he purchased the former power house of the old Baltimore City Passenger Railway Company at Baltimore and East Streets. The new corporation set about equipping the building with the latest ice-cream manufacturing equipment. Over the years, several machines were developed and patented in the new plant – the Hendler Scraper Grinder, a mechanism for keeping ice cream freezer scrapers sharp; the Hendler Brick Expeller and Slab Perforation which used compressed air to remove ice-cream bricks from a mold or slab; and the Hendler Fruit Hopper which allowed fruit or chocolate to be added to the ice-cream after the mix was frozen. In 1926 the company was re-incorporated as the Hendler Creamery Company, Inc. 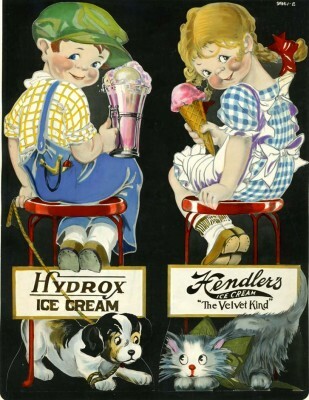 In 1929, the Hendler Creamery Company was one of seven companies purchased by the Borden Company. L. Manuel Hendler and later, his son, Albert Hendler, became executives with the Borden Company. Baltimore played a significant role in the ice cream industry, as it was the site of the founding of the first wholesale ice cream plant in 1851 by Mr. Jacob Fussell. 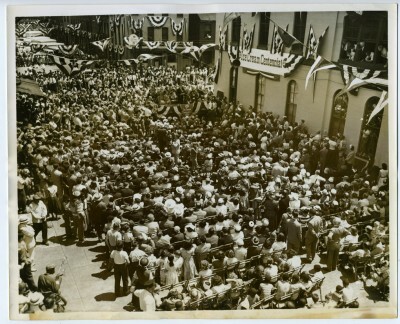 To commemorate the centennial of that event, there was a large celebration inBaltimorein 1951 in which the Hendler Creamery Company and L. Manuel Hendler, chairman of the Ice Cream Industry’s National Centennial Committee, played a prominent role. 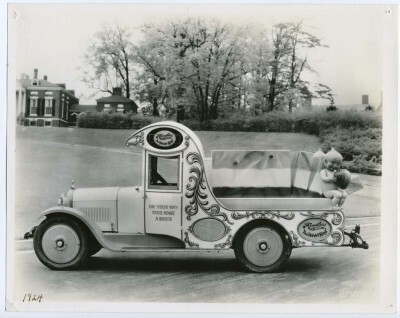 The Hendler Collection is comprised of early records of the growth and development of the Hendler Ice Cream Company and records of its purchase by the Borden Company and its continuation as a division of that company. 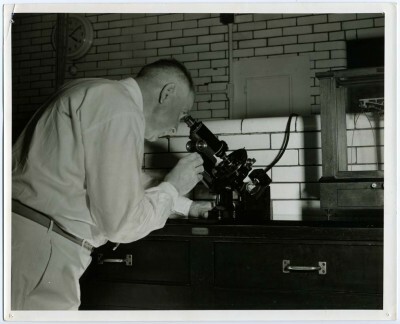 There are also records relating to the development of the ice cream industry and of the Ice Cream Centennial held inBaltimorein 1951 to celebrate the centennial of the founding of the wholesale ice cream industry. The final part of the Collection is comprised of records of the Hendler Family. The collection is divided into four series: Series I. Hendler Creamery History, n.d., 1906-1975; Series II. Ice Cream Industry, n.d., 1905-1951; Series III. Hendler Family, n.d., 1918-1985; Series IV. Photographs. Series I. Hendler Creamery History, n.d., 1906-1975. 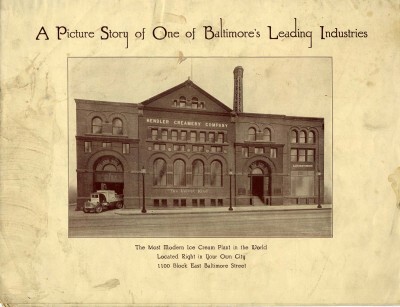 The early history of the Hendler Creamery and its activities in theBaltimore ice cream industry are reasonably well documented. 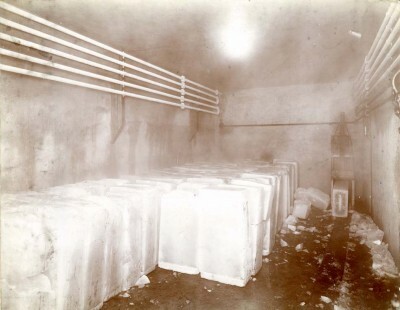 Of particular interest are, an early agreement of ice cream manufacturers to hire a lobbyist to lobby against the state setting a standard for butter fat content in ice cream, catalogs of ice cream equipment, information about improved equipment developed in the Hendler factory, and agreements with distributors and employees. 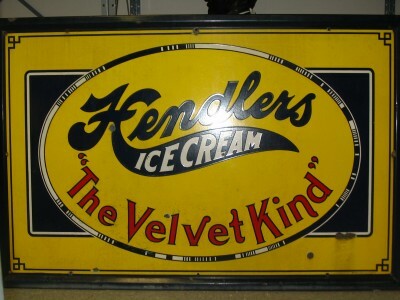 Also included is information about litigation against the Hendler Company regarding its use of the trademark phrase “The Velvet Kind” for its ice cream. There are also copies of the regulations issued by the government in 1917 regarding rationing of commodities such as sugar; and the effect of that action on the ice cream industry. Additionally, there is, what appears to be, a complete collection of copies of “The Dipper,” a pamphlet apparently distributed to retail ice cream outlets by the Sharpless- Hendler Ice Cream Company inMarylandand nearby states which provided tips on serving ice cream. 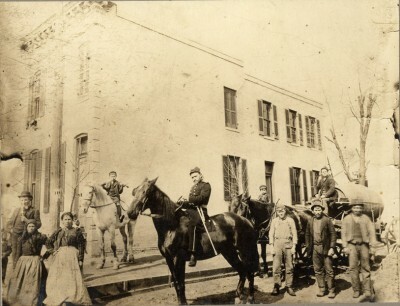 Subsequent to the purchase of the Hendler Creamery Company by the Borden Company there was protracted litigation regarding the tax treatment of the assumption of the Hendler Creamery Company’s bonded indebtedness by the Borden Company. The litigation concluded with an opinion by the United States Supreme Court in the Government’s favor. In 1939, a bill was adopted in the United States Congress to reverse the Supreme Court’s decision. This series includes documentation related to this legal action. This series also includes handwritten and typed copies of an 1830 book on making ice cream. Series III. Hendler Family, n.d., 1918-1985 concerns the Hendler Family. There is information about the military career of Albert Hendler, the philanthropic activities of both L. Manuel Hendler and Albert Hendler, and the artistic achievements of Winifred Hendler, the wife of Albert Hendler. Also have an ” Bordens Ice Cream ” sign same. Are these collectables and what would there value be estimated? Thank you. Hi Paul, thanks for your comment. Unfortunately we cannot appraise these items for you, you will need to take them to an outside appraiser.